Nobody was telling him what he was doing wrong when he built that. With all of those critters I bet you couldn't sneak up on him! Man would I like to look inside that rig. 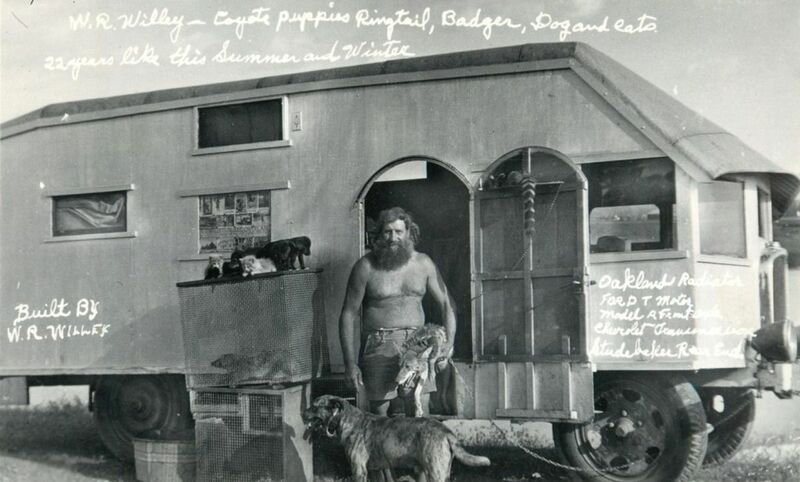 I enjoy looking at the RV's from the 20's and 30's. The ingenuity and craftsmanship can be extraordinary. If you are near Elkheart IN. 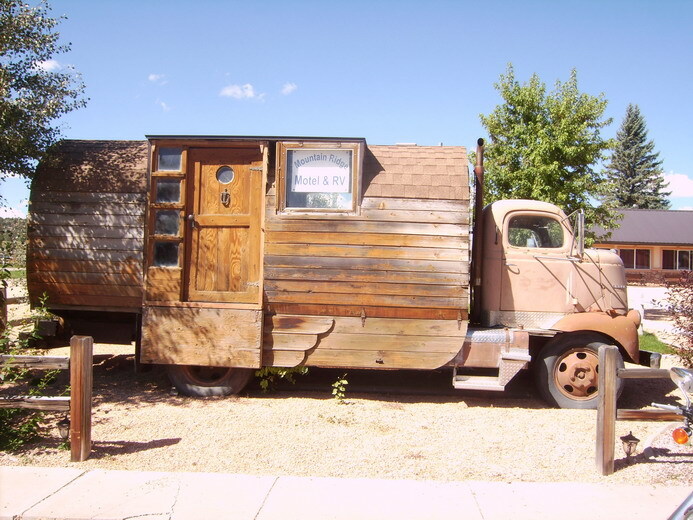 stop by the RV museum. I am not associated with that museum, I just enjoyed it when we stopped there this fall. By the way, there are 2 Model T's in that museum. A 13 pulling a sleeper trailer and a 16 built into an expanding RV. 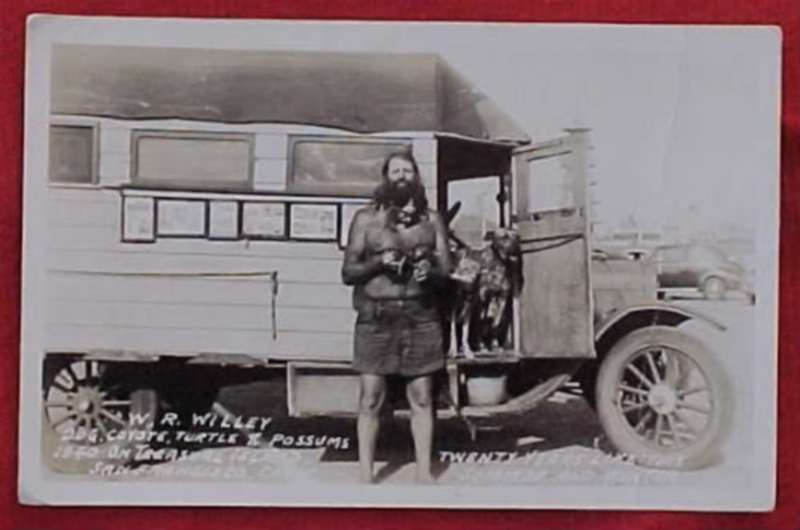 That's Willie Willey (pronounced Will-lee Why-lee) the famous naturist (nudist) from Spokane. It is said that he never wore a coat, even in the dead of winter, which can be very cold in Spokane. He died in the 1950's in a car wreck if I am not mistaken. Here's his Model T. He made his living selling postcards of himself, so I've been told. Looking inside that vehicle may have required a breathing apparatus. I was intrigued enough to research Willie on the internet. 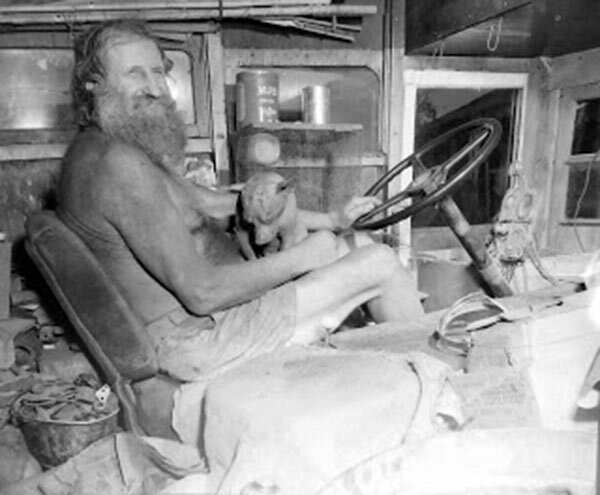 Interesting man, and from Gods country (Iowa) thanks for sharing. If you read the first postcard, it says Oakland radiator. Looks like it is 1930, 31 or 32 Oakland. not model T but here's one I love, its in Utah.